FC Barcelona are back at work after stretching their lead at the top of the table in La Liga to 11 points thanks to their 5-0 away win at Betis on Sunday. 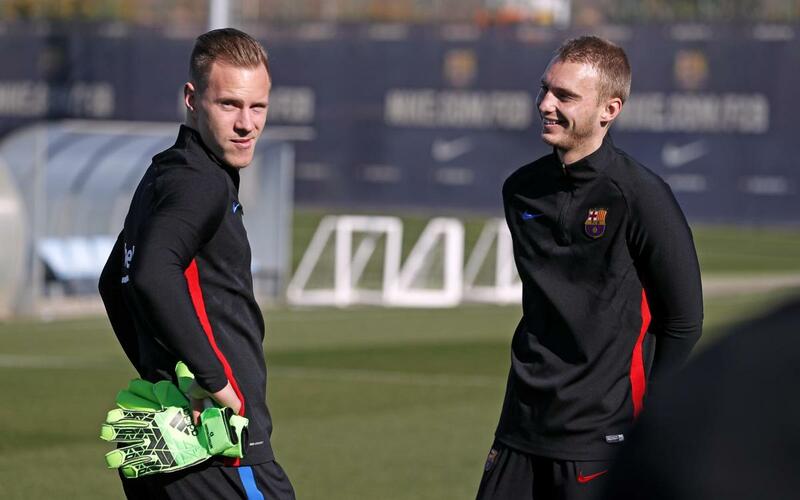 Ernesto Valverde’s side began preparations this Monday for the second leg of their Copa del Rey quarter-final tie against Espanyol at Camp Nou on Thursday in which they train 1-0 on aggregate after the first leg. The first session of the week was a recovery one for the players who started against Betis at the Ciutat Esportiva. Andrés Iniesta and Javier Mascherano also trained alongside their team mates on Monday. The coaching staff also included Aleñá, Kaptoum, Dani Morer, Samu Araujo and Hongla in the session from Gerard López’s B squad as well as Iñaki Peña from the U19 squad. Barça have another important week coming up with the second leg of the Copa del Rey tie on Thursday at 9.30pm CET against Espanyol being followed by a league game, also at Camp Nou, on Sunday at 8.45pm CET versus Alavés.